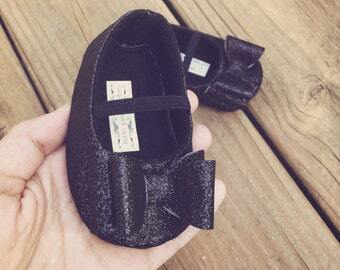 Eloise ....Sparkly Black Glitter Ballerina Style Shoes! 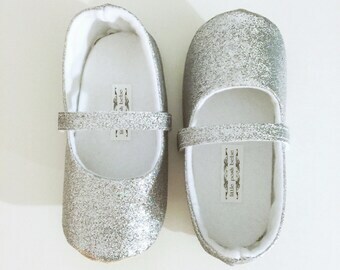 I use a rubber, non-slip, waterproof flexible soles for walking Babies and Toddlers! Other Colors available, please contact me if you need a different color not in my shop to see if its available.